For superb performance on the go, the Canon EOS 6D Mark II camera puts full-frame performance into a compact, fully featured DSLR. Its 26.2 Megapixel CMOS sensor and DIGIC 7 Image Processor help deliver amazing results even at expanded ISO settings, making it great for challenging low-light situations as well as landscape, portrait and event photography. The EOS 6D Mark II also features an impressive optical viewfinder with 45 all cross-type AF points, fast and accurate Dual Pixel CMOS AF and a Vari-angle Touch Screen LCD for Live View operation which helps create unique angles. With the EOS 6D Mark II's speed to capture action and the versatility to create phenomenal photographs and Full HD 60p videos in numerous environments and lighting situations, the camera offers creative content makers a winning combination of advanced features in a portable package that's as fun as it is powerful. For next-level AF operation, the Canon EOS 6D Mark II camera has a wide-area, 45-point all cross-type AF system which allows you to track fast subjects accurately throughout the frame and has low luminance performance to EV -3 which makes it excellent in dim light. Canon’s high-precision AF system, high-quality bright prism and Intelligent Viewfinder II let you see exactly what the lens sees. These features help provide instant information such as camera settings, with a limited chance of glare so you can easily see and quickly change settings on the spot no matter the shooting situation. The EOS 6D Mark II also features 5 types of AF area selection modes useful for a number of different AF situations. DIGIC 7 Image Processor, ISO 100–40000. Built-in Wi-Fi, NFC, Bluetooth and GPS Capability. For a useful and quick workflow in a variety of locations, the Canon EOS 6D Mark II camera’s built-in Wi-Fi feature can help streamline camera operations across the board. Using the free Canon Camera Connect app on a compatible iOS or Android™ device, the EOS 6D Mark II can easily be set up to shoot remotely from a distance, even in Live View mode, with complete control of settings such as aperture, shutter speed, ISO, focus and shutter release. Image review and transfer are similarly fast and easy without having to take the camera out of its bag. Still images can even be transferred between two wireless-enabled Canon cameras over a Local Area Network (LAN). Images and video can also be uploaded instantly to CANON iMAGE GATEWAY# for easy sharing on social networking sites, and photos can even be printed on a wireless PictBridge-certified printer without the need for a PC. Built-in NFC (Near Field Communication) technology helps provide the Canon EOS 6D Mark II camera with a virtually seamless connection to compatible Android™ devices. Simply tap to connect and transfer images and videos. 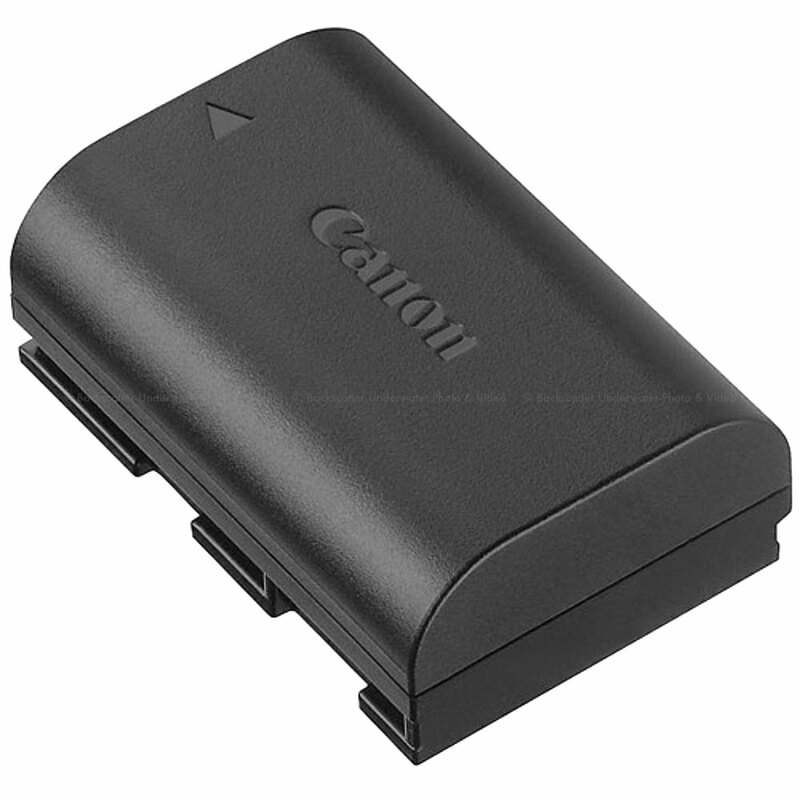 It’s also compatible with the Canon Connect Station CS100 device, which makes it simple for photographers and moviemakers to view and organize all their photos and videos on one connected device. Bluetooth pairing helps you connect the camera to compatible smart devices using the free Canon Camera Connect app. The Bluetooth capability uses a low-energy connection that can be set to connect automatically upon pairing of the two devices and helps preserve battery life while maintaining a wireless connection. Bluetooth lets you quickly and easily connect the EOS 6D Mark II camera to the optional Wireless Remote Control BR-E1 for remote shooting. High-Speed Continuous Shooting at up to 6.5 fps. The EOS 6D Mark II camera is designed to keep up with the action. Its remarkable shutter, advanced AF and exposure and image processing systems help ensure virtually instantaneous response and performance at up to 6.5 fps, even at full resolution. Whether searching for candid moments at a wedding or capturing an athlete’s explosive motion, the EOS 6D Mark II doesn’t let file size compromise the speed of capture even when bracketing exposures of a complex lighting situation, helping photographers and moviemakers consistently attain high-quality and sharp images. The EOS 6D Mark II camera is built for uninterrupted performance, even when conditions get messy. The battery compartment cover, card slot cover, lens mount, terminal covers and buttons are weather-sealed to help keep water and dust out. The EOS 6D Mark II’s high precision aluminum alloy and polycarbonate resin construction ensures a lightweight and durable camera that gives you the confidence to use in various situations.